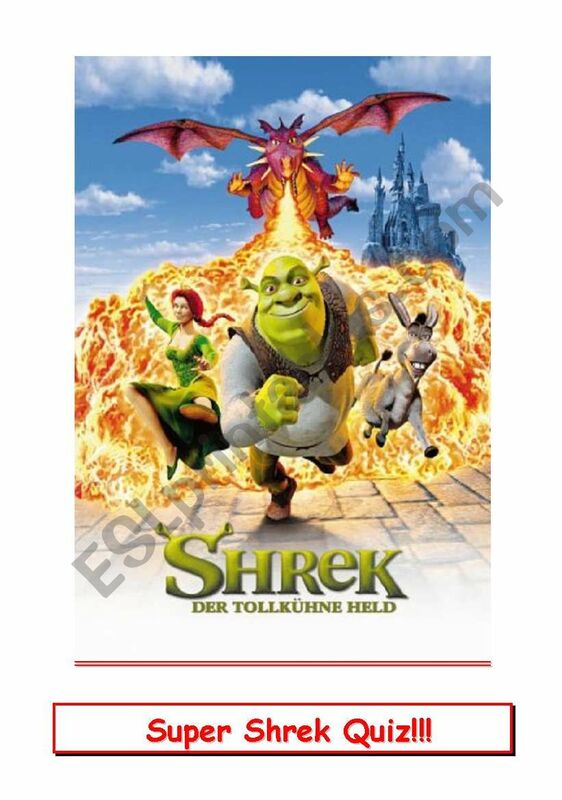 Staple the four pages together and you have a wonderful and complete companion activity for a great and timeless movie Shrek. Multiple choice questions have been divided into three, 30-minute-parts. A great movie that almost all students will enjoy and can help them with their English. Have fun! thanks a lot! I love worksheets on movies, so I´ll use it asap! Thank you for your effot.